Construction is underway converting University Avenue and Melville Hall into a ‘Pop-Up Village’ with common spaces, performance venues, and many food vendors. However, several ANU businesses will not be making the trip up the avenue, and others remain engaged in tense negotiations, and are considering a legal challenge to seek payout from the ANU. Described by ANU as “one of the most spectacular pop-ups in the country,” full construction has been promised by the start of Semester 2, though developers note possible delays if there is severe rain. Student services like ANUSA and PARSA will fill a refurbished Melville Hall, while outside, almost 30 food and service vendors will fill temporary timber structures. Teatro Vivaldi and ANU Bar are not moving to the Village. Vivaldi, unable to run their theatre-style restaurant show in a smaller venue, will be closing, at least for the next two years. ANU Bar was rejected from the tender process, in favour of a venue operated by Canberra company The Burley Group; a decision which has caused outcry from students. ANU says they took “a market based approach” to seeking tenants, but an ANU spokesman later said “offers are negotiated with tenants on a case by case basis”, and Observer can confirm ANU offered significant relocation payments to several existing vendors. These payments might not be designed solely to preserve businesses, however. One tenant said: “If things don’t go well with the rent negotiations, it might turn into a legal battle.” Several anonymous tenants have told Observer they may seek a larger payout, claiming ANU violated their lease by demolishing their stores, a scenario which, according to tenants, the lease does not cover. Campus Bakery owner Ron Miller told Observer he still hasn’t been offered dimensions for the planned new building, affecting whether he can bake fresh on campus, and expressed concerns about the viability of his business in the new venue. Miller also hasn’t yet been offered a place in the redeveloped Union Court. Miller explained Campus Bakery has been on campus for three decades, and he would love to continue the shop, but will continue to negotiate with ANU for a higher pay-out. Affordability and student employment are also concerns. Jaye explained “We understand campus, we have a history- we’re not going to charge $7 for a coffee or $30 for a burger,” while Miller said “We’re dealing with students, price changes are hard … but we may have to increase prices because of the rent.” Both of these organisations, and other vendors, employ many students. Uncertainty has been heightened for Refectory businesses by poor communication from the ANU Union. 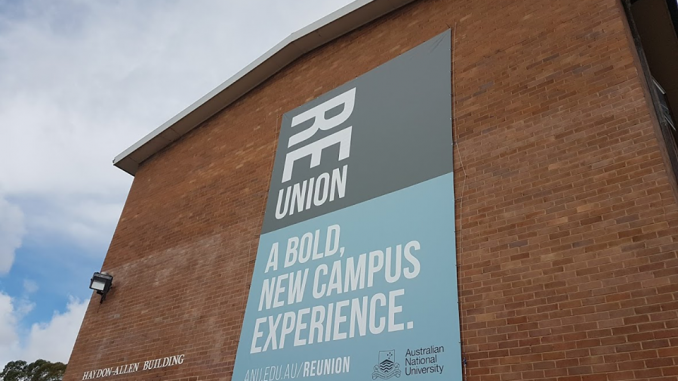 Tenants considering seeking a pay-out from lease confirmation said it was unclear whether the Union or the ANU was responsible for the leases. Several vendors said the Union had asked them not to comment, but others revealed whether they were moving without hesitation. Furthermore, many vendors had conflicting information about whether other stores would be moving. Many vendors told Observer they were unsatisfied with the Union’s communication. The Union did not respond to Observer’s repeated requests for comment. Professor Andrew Banfield raised concerns about construction noise. “As someone who used to do this for a living,” he said, “this isn’t a little bit of housing renovation, it’s sub-division construction.” The developers attempted to assuage Banfield, saying “we’re not promising silence, but we will take steps to minimise noise” as most construction will occur off-site. Others asked about sustainability, particularly regarding planned “minor tree removal.” The developers promised all possible materials would be recycled, and that they would minimise tree loss, but did not say how many trees would have to go. Observer will keep you up to date on any outcomes from these negotiations and consultations.